The Energy Efficiency (Private Rented Property) (England and Wales) Regulations 2015 mean that from 01 April 2018 there will be a requirement for any properties rented out in the private rented sector to have a minimum energy performance rating of ‘E’, or above, on an Energy Performance Certificate (EPC), before granting a tenancy to new or existing tenants. Unless there is an applicable exemption (more details below). The regulations will come into force for all new lets and renewals of tenancies from the 01 April 2018 and for all existing tenancies from the 01 April 2020. An Energy Performance Certificate is needed whenever a property is first built, sold or rented out. What do I have to do as a landlord to ensure regulations are met from April 2018? Asses your current EPC certificate as a landlord and review the recommendations provided by the assessor, once the changes have been made, invite a registered assessor to re-evaluate your property and re-issue the EPC document. If you are looking to buy a new property to let out in the future then you will need to consider the current EPC and if this falls to a grade E or lower, then ask yourself, can you afford to do the works before 01 April 2018, or will you be able to apply for a government grant in time that will bring the property in-line with the regulations? How do I find out my current EPC level? If you can’t find your EPC certificate and are currently renting out your property through Your Move, then visit the Your Move landlord portal where you will find 24/7 access to information about your rental property. Login. I have an EPC, if I need to make changes to my let property to bring it in-line with the proposed regulations can the certificate be updated/adjusted? Unfortunately not, but there is no need to worry, a new Energy Performance Certificate can be issued relatively quickly with your new grading once the works have been completed. Ask in your local branch for more information about how to arrange this for your rental property. Are there any building types that are exempt from an Energy Performance Certificate? I am selling my Buy to Let property, do I still need an Energy Performance Certificate? Yes, you must order an Energy Performance Certificate before you market your property to sell or rent. I can’t afford to do the works to bring the property up to standard, what can I do? Visit the Governments’ website where you can search for grants to help you with insulating your property, replacement boilers, renovations and more. Grants and funding changes all the time as new funds become available and some run out. So remember to regularly check the pages below as whilst there may not be specific grants available now there could well be in the future. Alternatively, you may consider selling your property, come and speak to us in your local branch, or, you can also find out how much your property is worth with our instant online valuation tool. It is worth planning ahead for any changes to may have to make to your rental property, consider taking advantage of any planned void periods, lease breaks or when your tenant checks out to carry out the works to reduce disturbance for your tenants. You can be fined if you don’t get an Energy Performance Certificate and unlawfully rent a property, a civil penalty of up to £5,000 will be imposed for breaches. Offending landlords will also be required to bring the property up to the required standard. If you are a Your Move landlord, we will be sending you regular updates as the regulations unfold via our landlord newsletter, if you are not currently receiving this, please send your email address to landlords@your-move.co.uk to be subscribed. 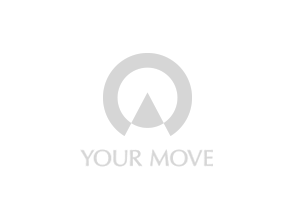 Keep checking back to the Your Move blog or why not sign up to our blog alerts and look out for further updates coming soon.